For the longest time, February 14 has been all about couples proclaiming their love for each other with gifts, special dinners and the likes. Families, on the other hand, rarely partake in any celebrations. But whoever said that Valentine’s Day was meant for couples and couples only? If it is a day to celebrate love and the special bond it creates between people, surely V’Day is for everyone! 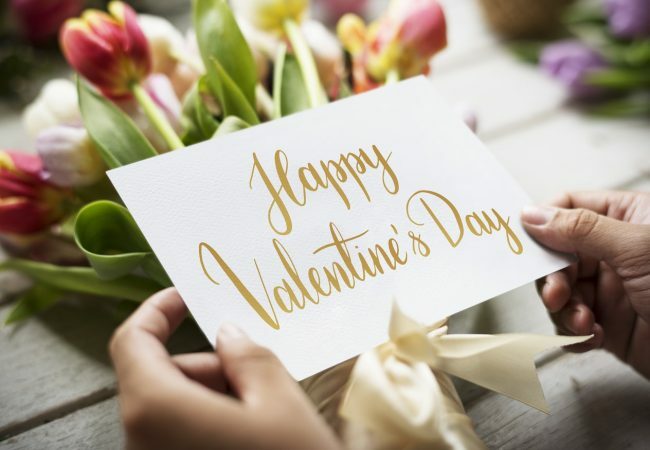 Don’t get us wrong though; there are several individuals that see Valentine’s Day as an opportunity to do something special for loved ones including parents, siblings, relatives and friends. So, if you’re out of gift ideas for Valentine’s Day this time around, Simply Maid is sharing 10, great home related gifts to give someone you love! Read on. Fill up a decorative box, handmade or purchased, with memories of you and the person you intend on giving it to. These memories can be in the form of pictures, mementos, little notes and just about anything that will make the person feel nostalgic and loved. From first date movie stubs to baby booties, the ideas are endless when it comes to reliving beautiful memories between loved ones! You can never go wrong with personalised gifts! What’s more, they are ideal for both, family and significant others. From pillowcases to cushion covers; you can be as creative as you’d like! Cute nicknames, pictures or cheesy lines; whatever you choose to personalise your upholstery covers with, just be sure that it’s something the receiver(s) will love or get a chuckle out of with every glance! Most of us can’t leave the house without our cellphone; and with our phone comes the camera feature that we make use of wherever we go! With countless pictures from over the years, many of which are likely to be taken with roll film cameras, digital cameras and even polaroids, it’s rather easy to make a (tangible) chronological photo collage. They can include baby pictures, yearbook photos and various milestones captured, all in the order in which they occurred. Keeping with the theme of love, what could be better than a sweet reminder of how much you’re loved as you sip on your coffee every morning? If this is something you know the receiver will appreciate, there are countless, love inspired coffee mugs available online or in stores (especially when V’Day is around the corner); however, you can also customise coffee mugs to make them more personal and special for your loved one! A Paid Maid Service for the Day! Surely you have friends and family that would thoroughly appreciate a break from house cleaning and chores on Valentine’s Day! It’s a great gift for parents or working individuals with hectic schedules that have little time to relax or go out. What’s more, this gives the receiver an opportunity to experience what life is like with a professional maid service to take care of all their cleaning needs. Thereafter, they can opt to continue with the cleaning service if they’re happy with results. They’re generally small, easy to care for and really cute to look at! A heart-shaped cactus is the perfect gift for a loved one because it is something that grows and survives for a long time (with proper maintenance, of course). Their heart-shaped leaves make them a unique house plant that automatically conveys a message of love when received as a gift from a loved one! Surely the receiver will also appreciate the fact that it is a low-maintenance house plant! Yes, you can personalise a lot of household items and they will make excellent gifts for Valentine’s Day! Bath towels are no exception and, moreover, the possibilities are endless! From stitching on names and sweet wordings, to printing portraits and motifs; a personalised bath towel is a touching V’Day gift for any loved one. If you’d like to, you can go one step further and throw in some matching hand towels! You can never have enough throw pillows! Whether they’re meant for a couch or a bed, these cuddly pillows are ideal Valentine’s Day gifts when they come in the shape of a heart! Warm, fluffy and red, heart-shaped throw pillows will remind your loved one of you whenever they’re around! An ‘I Love You’ Photo Frame! Some may call it cheesy but what could say ‘i love you’ more than something that reads ‘I Love You’? Not a lot! An ‘I Love You’ photo frame with pictures of a family or newlyweds in between the words will exude a sense of love and affection even if it is a bit cheesy! They don’t have to be shaped like hearts but that’s definitely a bonus! A box of scented candles is an intimate gift to give couples or your significant other. They look beautiful and smell even better! What’s more, they come in a large variety of sizes, colours, designs and fragrances; hence, if you know what the receiver’s likes and dislikes are, you can get them the perfect box of scented candles for Valentine’s Day! Make this February 14 a truly special one for the people that you love with these thoughtful Valentine’s Day gifts!